An answer to my question: has Scheveningen got the most painted shore in the world? Chris Sonnemans has been in touch to answer the question I asked on the 4th October 2013: has Scheveningen got the most painted shore in the world? Chris’s answer is that it has – since 2009, he has been searching the internet for pictures of the coast of Scheveningen for his website, www.scheveningentoenennu.nl. His online survey has revealed that over 500 artists visited Scheveningen to create oilpaintings, drawings, etches, water-colours and other artworks since 1600. He has found some 3255 pictures by artists from the Netherlands, Belgium, France, UK, United States of America, Germany, Russia, Poland, Switzerland and other countries, and observes that there must be more in private collections around the world. A significant number depict the events of one day. 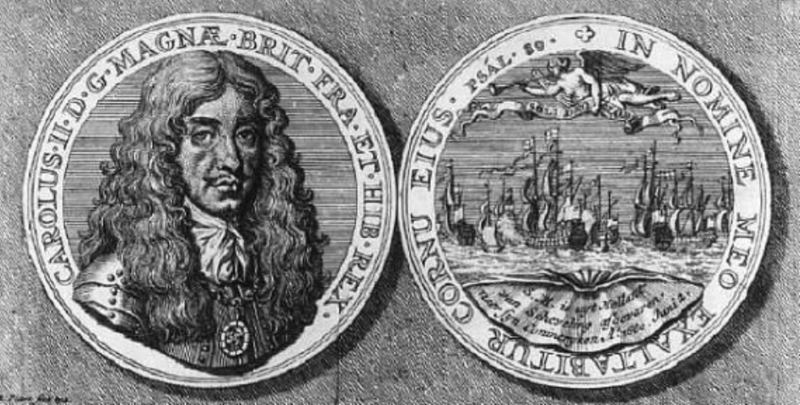 Following the exile of the Stuart Royal Family, King Charles II departed from the shore of Scheveningen for England on June 2, 1660. Ten artists made 50 paintings, drawings, etches and medals of that one day, and a crowd of 50,000 people gathered in the dunes and on the beach to see him leave. It’s quite something to think of so many images being created of one event on one day in the 17th century. See some of them on Chris’s website, along with more material on Charles II. It’s in Dutch, but Chris hopes Google Translate will help English readers understand the text. In the 19th century the British painter Edward William Cooke (1811-1880) visited Scheveningen many times between from 1837 and 1860, and in Chris’s judgement he painted the fishing boats on the sands better than anyone else. ‘From December 1881 until September 1883 Vincent van Gogh stayed in The Hague and took lessens from Anton Muave and learned to know Jozef Israëls, Hendrik Johannes Weissenbruch, Hendrik Willem Mesdag, the brothers Jacob and Willem Maris, and George Breitner. I found 48 paintings, drawings and watercolours of Scheveningen by Vincent van Gogh. ‘Anneloes Groot painted the modern Scheveningen including the harbour and fishingboats. See some of this material here and here. ‘On the website you will also find large numbers of Delft blue tiles and plates and murals showing scenes of Scheveningen. ‘Finally, I understand that you have nice memories of Scheveningen. You can find images showing how the coast at Scheveningen has changed here. Author Gavin AtkinPosted on March 17, 2015 March 17, 2015 Categories Boating, boats, ships and the sea, Culture: songs, stories, photography and art, History, Locations, wooden boat, Working boatsTags artists, King Charles II, paintings, Scheveningen2 Comments on An answer to my question: has Scheveningen got the most painted shore in the world? Cambridge’s Fitzwilliam Museum’s gallery of Dutch Golden Age paintings has gone back on display display this week following a refurbishment – and includes the surprising image of a beached whale on Scheveningen beach that had previously been painted out. The whale appears in a 1641 work by Hendrick van Anthonissen. The beach at Scheveningen must be one of the most painted stretches of coast anywhere – this Googlewhack shows what I mean. Many of them contain fishing and other boats working from the beach, and often a fish market in operation. See an earlier post on this topic here. PS – I have a modern example of a Scheveningen beach painting that my parents bought years ago on my wall. Can anyone tell me anything about it please? Who was the artist with the illegible signature?